Welcome to Field of view, the place where we round up the latest news in VR and AR and offer recommendations for when you're next under the headset. It's been a busy week for the VR industry, with the announcement of the Oculus Rift S and HP Reverb, but that's not all there's been to shout about. In this week's edition, we've got Sony PSVR whispers, lip tracking and a new way to watch theatre performances. Read on for everything you may have missed from the past week, and be sure to keep it locked to Wareable for all the biggest AR and VR news as it happens. Sony PSVR is still one of the best portals into the virtual realm, remaining a solid alternative experience to that offered by headsets from Vive and Oculus. However, it's been a while since the gaming giant paid attention to the platform. 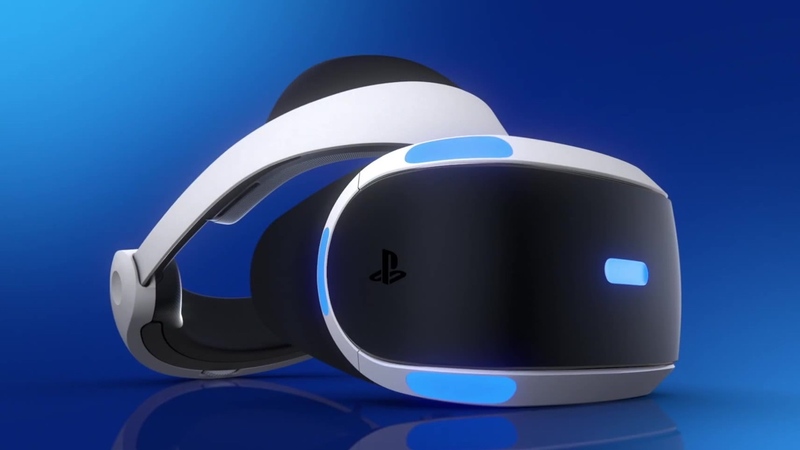 That could be about to change, though, with a Japanese blog reporting that Sony has been granted a patent appearing to detail a wireless version of a PSVR headset. As the image above shows, the headset is shown to wirelessly communicate with an external box linked to a PlayStation console. However, what we don't know yet is if the objects in the image are simply placeholders for an all-new PSVR 2 headset powered by the upcoming PS5, or whether this is actually just a concept of a wireless version of the current headset being drawn. As we say, things have been quiet on the Sony PSVR front for a while now. It's unlikely we hear anything concrete regarding the next generation or a new version until the company's next big console reveal (rumors indicate PS5 will get a 2020 launch), but stay tuned. The HTC Vive is now a mature VR platform, with plenty of ways to read your vision and external objects in order to add to the immersion. And now it could be looking to apply that same tracking technology to lips. Per Road to VR, HTC announced at GDC this week it's planning to release a module that'll be able to accurately gather data about how the user’s mouth is moving and more, though it currently doesn't have plans to make the lip tracking module available to the public. Instead, it will hand it over as part of HTC developer kits. Of course, in the hands of developers or researchers, this could mean big things for facial animations. And though we know little about the module right now, it's likely we see the fruits of its work hitting headsets over the coming months and years. Don't you just hate it when you want to nip to the theatre but don't have the cash, time or partner to go with. Well, thanks to Livr, a new 360-degree app arriving on iOS and Android, the theatre is coming to you. Viewers are ported into the audience and able to view a range of live performances, with over 100 productions already captured, and eight new shows landing every month. Those interested can sign up for free at the Livr website and download the app from the respective app store running on your phone. You'll need a mobile VR headset to view the action in, but the company will send a free headset if you become a subscriber. It also plans to bring the app to the likes of Oculus Go, Google Daydream, HTC Vive and PSVR. After taking a VR headset off after a couple hours of use, it can be odd trying to readjust - you may even get some eye strain or a headache. But what about if you spent a week with one on? Well, YouTuber Jak Wilmot lived an entire seven days in a VR headset in order to find out, playing games, travelling through Google Maps and exploring everything in between. The 17-minute cut-up captures the highlights from the continuous live stream, showing Wilmot spending every waking hour within the confines of a VR headset - even when he was eating. Go get sneak peek at your future, kids.